Cover pencils by Carmine Infantino, inks by Murphy Anderson; cover swipe from classic Flash #123 cover. 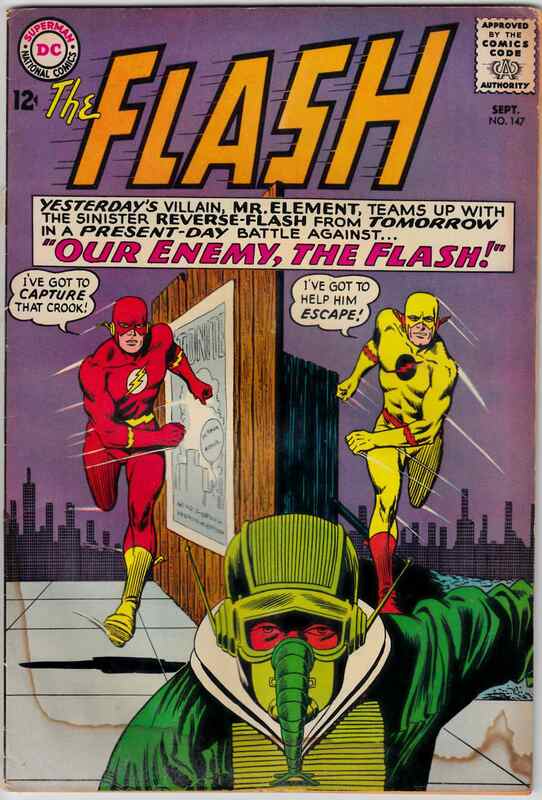 Our Enemy, The Flash, script by John Broome, pencils by Carmine Infantino, inks by Joe Giella; Reverse Flash (aka Professor Zoom) teams up with Mr. Element. Grading Notes: water damaged all the way through the bottom 1" of book. Top staple pulled through cover and first 4 interior pages. top right corner abraded and interior pages slightly bent.